Since this Sunday is the Academy Awards, I thought I would share some interesting facts about Walt Disney and the Oscars with you. 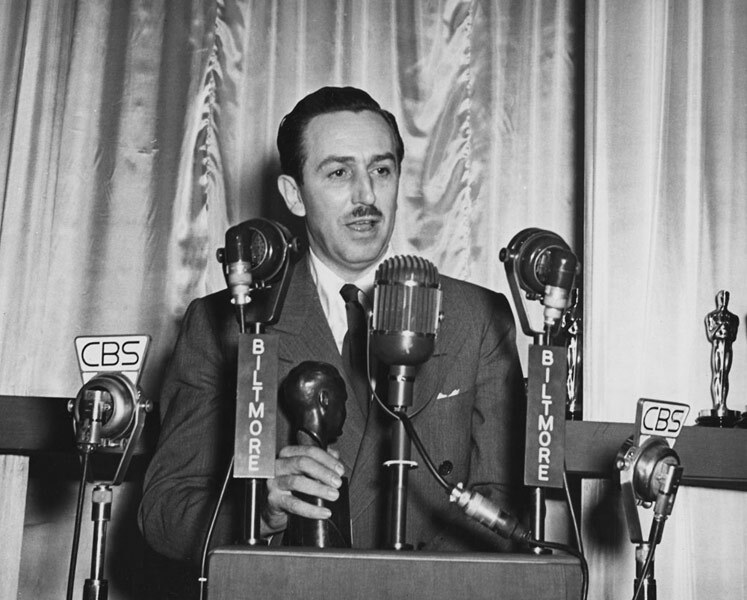 With 59 nominations, Walt holds the record for receiving the most nominations. His 32 wins is a record as well. 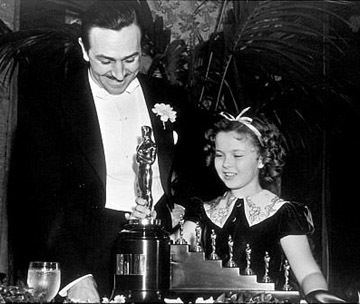 Walt also won a special Oscar in 1932 for the creation of Mickey Mouse. He even produced a special Mickey Mouse cartoon for the event, Mickey's Parade of Nominees. It was the first time Mickey was seen in color. "for Snow White and the Seven Dwarfs, recognized as a significant screen innovation which has charmed millions and pioneered a great new entertainment field for the motion picture cartoon." "Isn't it great Mr. Disney? Aren't you proud of it Mr. Disney?" Walt's response was "I'm so proud I think I'll bust." The Oscar itself was a regular size statue accompanied by seven "dwarf" Oscar figures. It was only the second time that the Academy modified the statuette for a single award. If you would like to see it, it is on display at the Disney Family Museum in San Francisco. 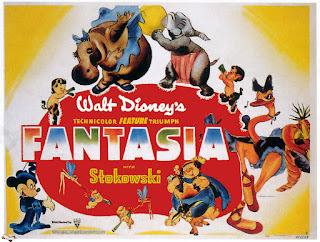 "their outstanding contribution to the use of sound in motion pictures through the production of Fantasia." "Creative producers, whose bodies of work reflect a consistently high quality of motion picture production." The Irving G. Thalberg Memorial Award has been awarded 39 time as of today, the last one being awarded to Francis Ford Coppola at the 83rd Annual Academy Awards. One final tidbit I found interesting. No one is exactly sure how the Academy Award came to be known as the "Oscar," the most popular version is that Academy librarian Margaret Herrick thought the statuette looked like her Uncle Oscar, but there is little doubt as to who made the nickname famous. In 1934, Walt accepted the Academy Award for Best Short Subject: Cartoon for Three Little Pigs. In his acceptance speech Walt referred to the statue as "the Oscar," up until that time the term was well known within the industry, but not in the general public. Hope you enjoyed getting to know a little more about Walt's history with the Academy Awards.